The petition urging Stagecoach to reconsider their proposals to axe the Sunday bus service between Fort William and Kinlochleven now has over 250 signatures. You can still sign it here. As a Highland councillor, representing the South Lochaber communities, and as a resident of Kinlochleven, I am disappointed by your company’s proposals to axe the Sunday service on route 44 between Fort William and Kinlochleven. 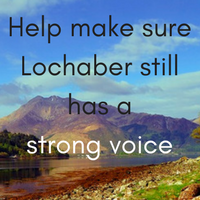 This consultation response sets out the impact this will have on the South Lochaber communities and the residents reliant on your bus service. When the Sunday service on this route was reduced to two buses a few years ago, several residents informed me that they turned down job offers because they were unable to get to work in the morning. South Lochaber residents still rely on this service to get to or from work on a Sunday, either travelling between the villages or to Fort William. I fear that workers in lower paid tourism and hospitality jobs, reliant on public transport, will disproportionately suffer from your proposal. Potentially this could lead to job losses when workers are unable to get to work when required by their employers. It is already a challenge accessing employment via public transport from South Lochaber this will exacerbate the situation. Residents concerned about your proposals have highlighted issues about the impact this will have on families. There is a strong network across Lochaber for many families and this bus service is used to visit family members elsewhere. I have examples of it being used to visit grandchildren or elderly parents elsewhere in Lochaber or sick relatives in the Belford Hospital. One resident tells me they use the service to get home from Fort William on a Sunday afternoon, where they stay and look after their grandchildren every weekend. Understandably, young people everywhere wish to demonstrate their independence, particularly during their teenage years. This independence is even more important in rural areas, where young people are often reliant on parents to drive them anywhere beyond their village. Rural isolation is acute for young people in the Highlands. That is why, as a councillor, I fought and successfully blocked recent council proposals to end the public subsidy for the evening service on route 44. With the High School based in Kinlochleven, there are strong links for young people between all the villages in the area that feed into the high school. The loss of the Sunday service will hinder the independence sought by these young people. During the whole tourist season, the South Lochaber villages are a popular destination for visitors, many using the bus network to visit the neighbouring villages around Loch Leven. Kinlochleven is the penultimate stop on the West Highland Way and sees large numbers of walkers coming through the village every year. At some periods during the year, every available tourist bed in the village is booked, meaning West Highland Way walkers having to access their overnight accommodation in Glencoe, Ballachulish or even Fort William, by bus. Others having already walked from Drymen are injured or unable to walk the last section of the West Highland Way to Fort William, missing out this section by using the bus instead. When Government tourism policy encourages visitors to use public transport where possible, the loss of a Sunday service is a retrograde step. It is disappointing that the only consultation event in Lochaber was held in Fort William, when one of the biggest changes, with no alternative provision, will affect residents outside the town. This was exacerbated by the timing for a mid-morning, mid-week consultation when many residents who use the bus service were unable to attend. Residents across South Lochaber are angered by your proposals demonstrated by the 258 signatures to an online and paper petition, which urges Stagecoach to reconsider the proposals and retain the Sunday service on route 44. Please advise how I can pass this petition on to you for consideration. I hope you will consider these points carefully and change your proposals so that a Sunday service is retained. However, I have little confidence that this is a genuine consultation when several constituents have contacted me following your recent event in Fort William. These constituents suggest that Stagecoach representatives said the Sunday service on route 44 was “non-negotiable.” That being the case it seems your consultation is not genuine but simply a public relations exercise. I solely rely on these buses for my job to fortwilliam so i need these buses t still function to maintain my job over there.